TRENTON-- What in the world are we doing? Are my eyes deceiving me, no it can't be??? Can it??? 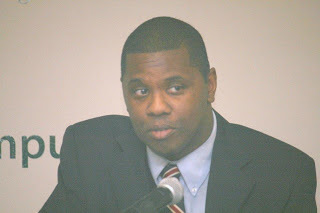 Not too long ago, I was reading Dan Dodson's blog and an article from the Trentonian that mentioned how there possibly could be a ballot question, put before the city's electorate this November, that would ask voters whether ALL, not some, but ALL, private Trenton small businesses, have to pay their employees sick leave. When I first came across this news story, I thought to myself, what the heck are we talking about, this can't be a wise move in the city of Trenton, a place that boasts not of excellent schools and a low crime rate, but rather a failing school system and an unacceptable crime rate. I mean quite frankly, the last thing people would call Trenton right now is Club Fed, a place people are pushing and shoving to gain access to or invest in. But I said to myself, before I draw any conclusions, I felt the need to step back and reflect on what this ballot question could mean from the perspectives of the different parties involved. On the one hand, first I thought of the perspective of an employee from your typical privately owned Trenton-based business. This poor guy or gal may feel like they have been completely left in the lurch because they have been put in that unfortunate position where they sometimes have to choose between working while sick and paying rent or even risk calling out thereby jeopardizing their employment. I mean I can definitely understand where they are coming from because who really wants to be in a position where you can't afford to get sick, believe, you, me, that type of situation stinks! So, it makes complete sense from their perspective to speak up early and often about this important measure. Labor groups and other coalitions like the SEIU, the CWA, New Jersey Working Family Alliances and New Jersey Citizen Action have all backed this initiative to ensure that small business employees receive sick pay. However, if we shift perspectives and look at things from the lens of your average run of the mill business owner, it sounds as though these individuals are singing from an entirely different sheet of music. 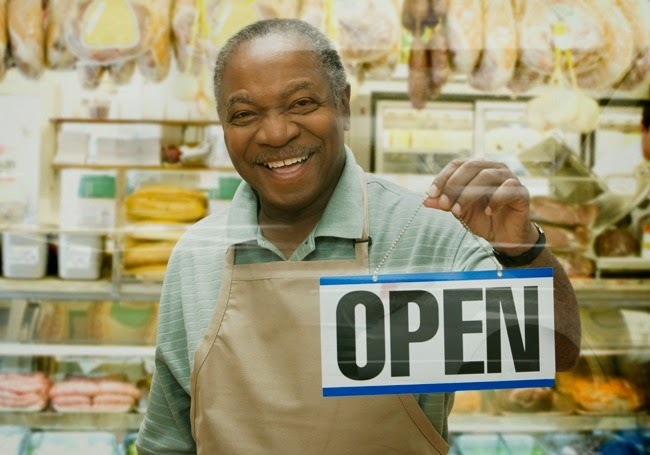 Indeed, small business owners at the end of the day want to maximize profit and minimize cost, point blank, period. These merchants aim to save money at any cost and may justifiably feel that they are already pay enough in taxes and fees to the city and that they should not pay City Hall one more red cent. From this perspective, I can't knock these small business owners. I mean, who really wants to pay more taxes and fees? In a Trentonian article written by Carols Avila, one local business owner, Vincente Barrientos, echoed this sentiment when he said "We work with our employees when they need off for health reasons but to impose this law on us in addition to the many other taxes, fees and expenses we have makes it difficult to run a business in this city". Nevertheless, no matter what way you look at it, this measure has already started to catch wind in other municipalities like Newark and Jersey City as these two localities have both already made this a policy. On top of this, two states, California and Connecticut have passed laws ensuring their workers can earn paid sick days. It is claimed that these local or statewide initiatives will somehow influence or set national policy. The bill in question specifically calls for allowing workers to accumulate an hour of sick leave for every 30 hours that they work. After reviewing the pros and cons, I still don't think this is a wise move for the city of Trenton. To make small businesses compensate their employees for sick pay seems like the morally right thing to do, YES I get it, but at the same time, it still puts an undue burden on mom and pop shops who then may have to let go of some of their workers or find some other way to make up for the lost revenue that goes toward dishing out the sick pay. On top of this, the city may without realizing it, push out or drive away existing businesses to other municipalities who do not impose the sick pay requirement. Why should we drive away these businesses that have loyally kept their shops here during some pretty hard times? And in the process, if you look at it, the city may also discourage others from starting new business here with this policy. If we here in the city want to really encourage others to invest here, then we cannot let this bill pass. Lastly, for those that argue that since other states and municipalities have passed this type of measure why shouldn't Trenton, I say that Trenton is not the same as those other localities. Trenton has its own unique challenges that have to be addressed before we can impose yet another requirement on our small businesses. This is a big reason why it is so important to vote and let our voice be heard on this issue. As things stand, City Council has voted to suspend consideration of this ordinance for paid sick days. They have instructed the Mercer County Board of Elections to arrange a referendum on the issue in the scheduled election on November 4th. For more details, click here.